There is a whole lot more to do at a boat show than just look at boats. Don’t get us wrong, there is nothing wrong with looking at boats, but you should know that you will be thoroughly entertained if you do attend a boat show. When you take a look at your boating calendar, you will notice a significant amount of boat shows in the winter. You might wonder why boat shows are held in the winter. Winter shows are popular because this is the best time of year to buy a boat. Ordering early allows you to select the features you want on your boat and still ensure delivery by spring launch time. Besides, there is no better way to spend a cold, snowy Saturday than admiring boats and dreaming about boating season. 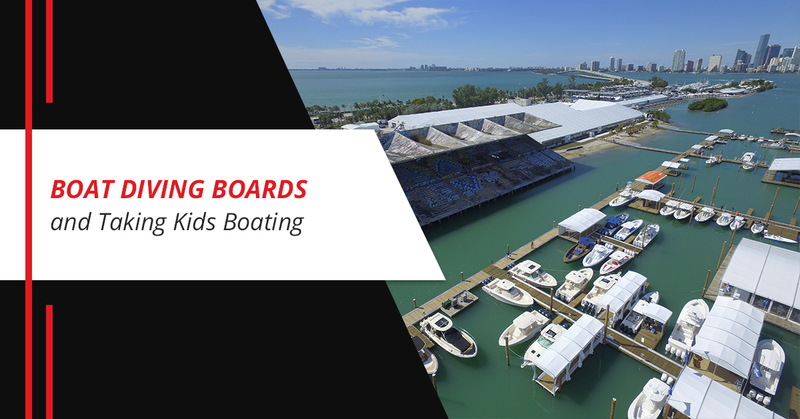 If you remain unconvinced, Lillipad Marine, your source for diving boards for boats, offers reasons to attend a boat show. The whole point of a boat show is to look at boats. Boat shows host hundreds of boats and you will be amazed by what you will see. If you are into horsepower, you will see boats that pack more punch than a 1970 Hemi Cuda. If luxury yachts are your thing, a boat show will be an eye-opening experience. If you prefer big boats, the boat show will not disappoint. There is never a shortage of good food at a boat show. Whether you feel like sinking your teeth into a foot-long hot dog or noshing on some lobster rolls, the food at boat shows is as diverse as the boats themselves. You can spend all day at a boat show, never look at a boat, and still be thoroughly entertained. Just like boats, boat people come in a variety of sizes and styles and are a very colorful lot. You will enjoy meeting these like-minded people who will charm you and make you smile. Just as cool and entertaining as the actual boats are the toys you can get for your boat. At the boat show, you will see an impressive collection of nifty gadgets you can get for your boat. Also, there will be other neat surprises at the boat show including electric surfboards, sea scooters, personal submarines and more. There will be other surprises at the boat show. For example, you might get to see things like a jet pack show. Just one push of a button and a human being is flying over water. There is nothing wrong with the shows on Netflix, but you have been cooped up in your house all winter and you deserve to get out and see a boat show. So scrape the family off of the couch, get them dressed and take them to a boat show. And if you are interested in purchasing a diving board for your boat, Lillipad Marine has you covered. Visit our website today.